When people start to earn their own money, it is likely that they might seek the best things to invest it in. They will want ways to secure their efforts of working hard. One of the common methods of investing is to purchase real estate. People who start to earn, start to save, set aside a sum that is meant for their future so that they will be able to acquire those that they have dreamt of and wish to provide their families with. you may also see Email Signature Templates. Real estate properties include undeveloped lands, houses, townhouses, condominiums, office buildings, warehouses, and anything that consists of land and the establishments and crops that are in it. For most people, they are sometimes unaware of the business of negotiating real estate properties that are in best deals and come with great advantages. For them, if they see something they will go for it no matter the repercussions. That is why a real estate agent is needed and at times when seeking for real estate properties to invest in, as they go deep into the job of providing options for their clients on what and where to properly invest in. With that said, if you work as a real state agent here is a list of email signatures for you to use. Real estate agents or realtors are individuals who work with lands and establishments. 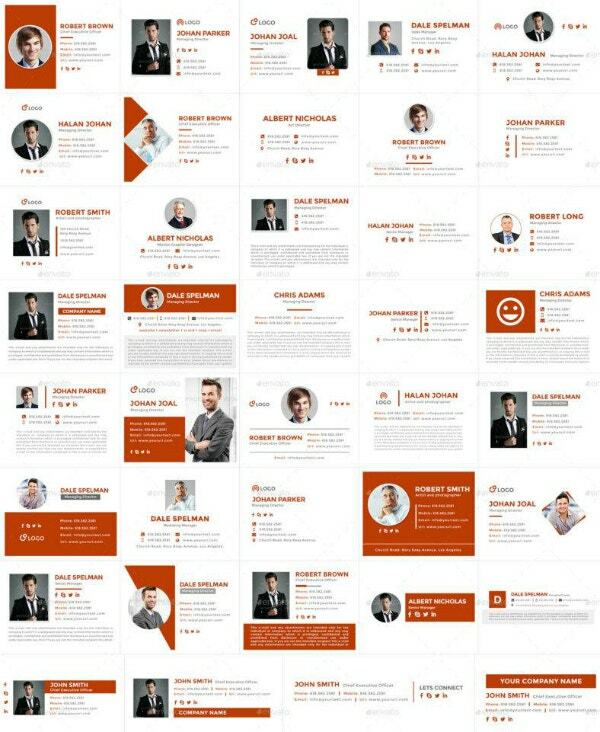 Real estate agents according to the website Career Planner, are individuals who “rent, buy, sell properties for clients; perform duties such as property listings, interview prospective clients, accompany clients to property site, discuss conditions of sale, and draw up real estate contracts“. Real estate agents are the ones who commonly present their clients with options of better real state offers. They are also the ones who present their sellers with purchase offers for consideration. Aside from that, they also speak with other companies they trust (i.e lenders, home inspectors, and pest control operators) to ensure that the terms and conditions are met before closing dates. They also consult and get to know their clients to get the full idea of what real estate properties they want to invest in. Real estate agents are the ones who prepare the documents such as representation contracts, purchase agreements, closing statements, deeds, and leases. And lastly, they are the ones who coordinate the property closing, oversee the signing of documents, and disburse the funds. What are the Benefits of Using an Email Signature? Being that a real estate agent needs clients in order for them to fully function, networking is mandatory in this job. And, in order to do so, you need to be able to network yourself in whatever medium you use and however possible it is. One of the most convenient and effective ways of doing so is by using an email signature and have it appended to every email message you send. As by choosing to do so comes with benefits that not only help you as an individual but also as a professional. 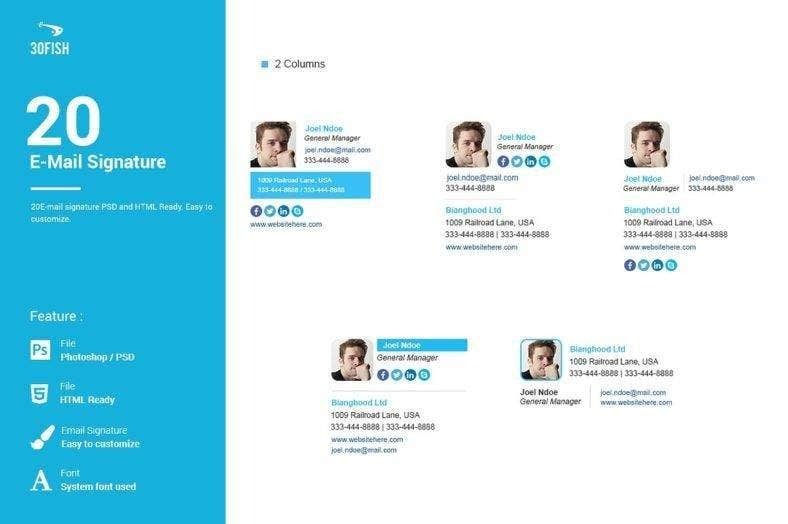 You may also see corporate email signature templates. 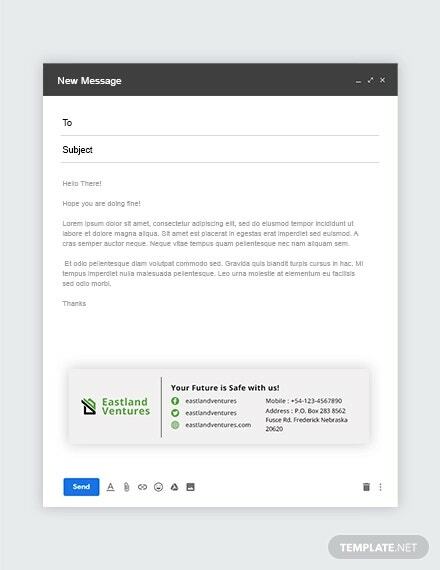 Most professionals attach at the very end of their email message their email signatures to give their recipients a more in-depth look at who they are, both as an individual and a professional. The very idea of having an email signature is to inform other people about you and also network yourself. By simply doing so, will give your recipients a clearer idea of who you are, what you do as a profession, and what services you can offer. Simply put, an email signature is an overview of you, which can also create a lasting impression along the way. You may also see sales manager email signatures. 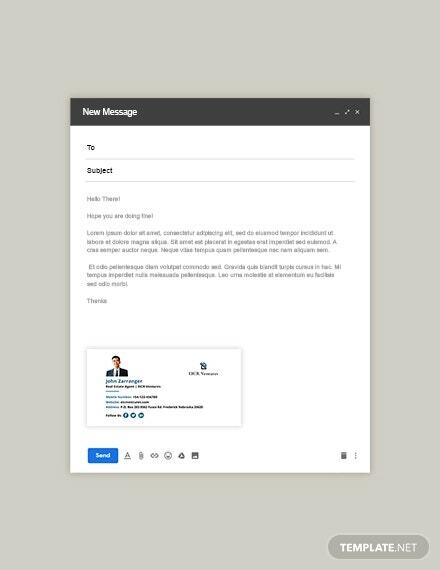 Although the email you are attaching your email signature to is in itself a contact information, the networking medium also offers a set of other contact information for your recipient. 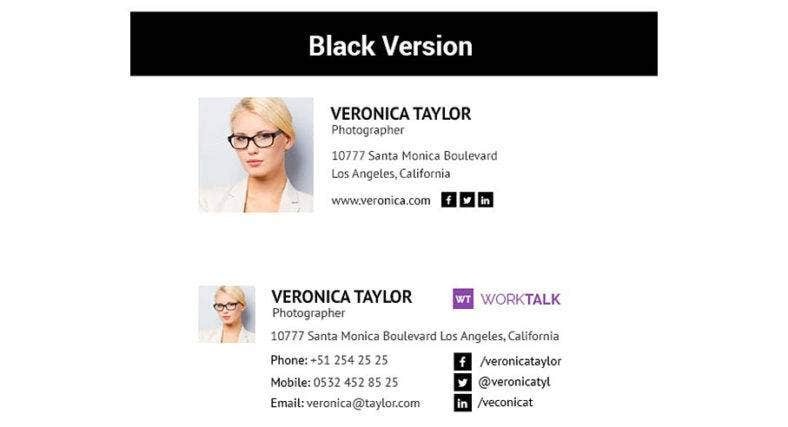 On your email signature, you can put in your cell phone number, telephone number, fax number, or even your website URL. 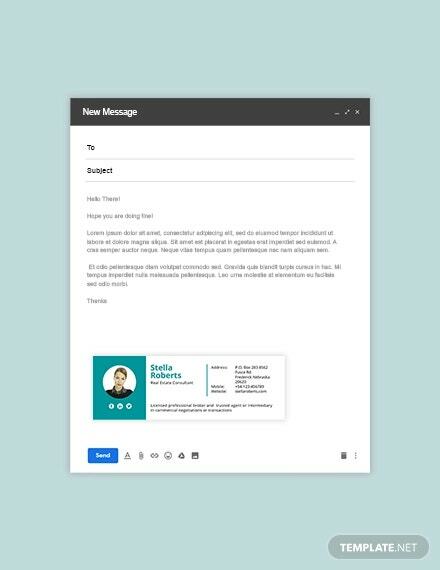 Providing your email recipient with different contact information on your email signature will enable them to contact you whatever is most convenient for them. There is no denying the number of people in this age that uses email as a means of communication, especially within the field of the more professional. Emails are being sent numerously in a week, in a day, or even in an hour, so the percentage of your email signature to be seen by people is a lot. With that said, email signatures are truly an effective way of promoting yourself and your small business to other professionals. Knowing that there are a lot of people seeking the kind of service that you offer, it is inevitable that they get interested and reach out to you by based on your email signature. Email signatures just simply help relay the message and put the word out there about your services. Its simplicity does not hinder its power in terms of promoting and networking. Considering that all the necessary pieces of information about you as a professional is contained in your email signature, the possibility for your recipients to know more about you is there. 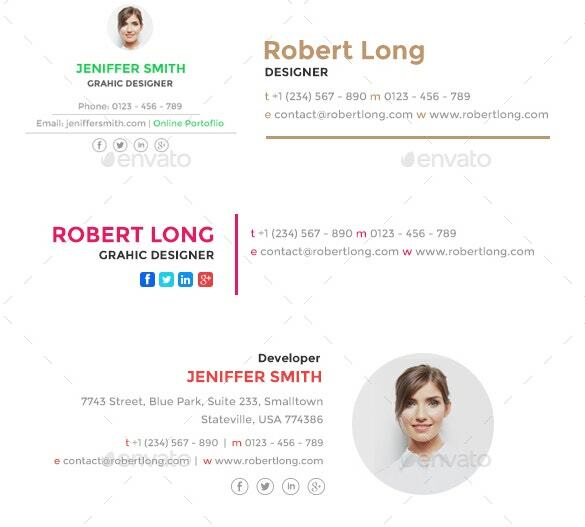 Email signatures are especially most helpful if the clients are in need of the kind of service you are offering, making gravitating towards you a lot easier. Since it also indicates in your email signature what you do, a more specific clientele will reach out to you which means there is a definite market for you. 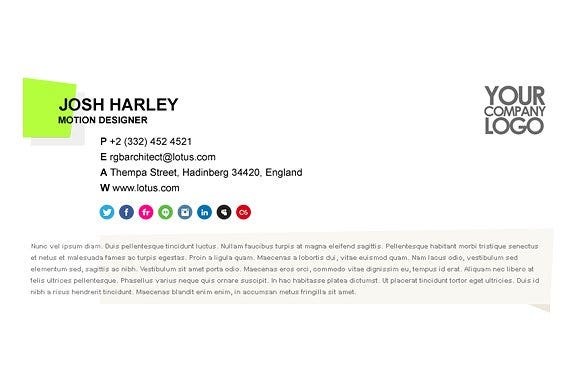 You may also see marketing email signature templates. Email signatures have the capability to connote professionalism and legitimacy especially when it is well-designed and well thought of. Whatever profession you are in, presenting yourself in a professional and legitimate manner is mandatory. Considering also that most people base their judgments on the first thing they see is inclined to you, which in this case is the email signature. Presenting yourself in a way that does not create a cloud of doubt is necessary since you also want to get your potential clients trust the first time they lay eyes on your email signature and then moving forward. You may also see email signature generators. 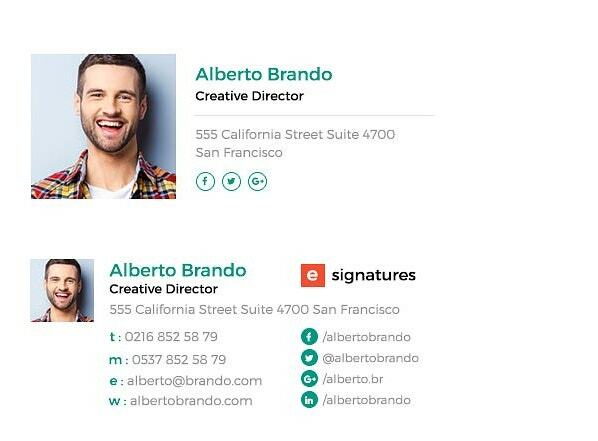 What Should be in Your Email Signature? An email signature is only as effective with the pieces of information contained in it. They are the ones that help you reach your grasp to other people or potential clients which give them an idea of who you are and what you do. It is important to remember that these different pieces of information should factual and accurate and the different contact information should be in active use. 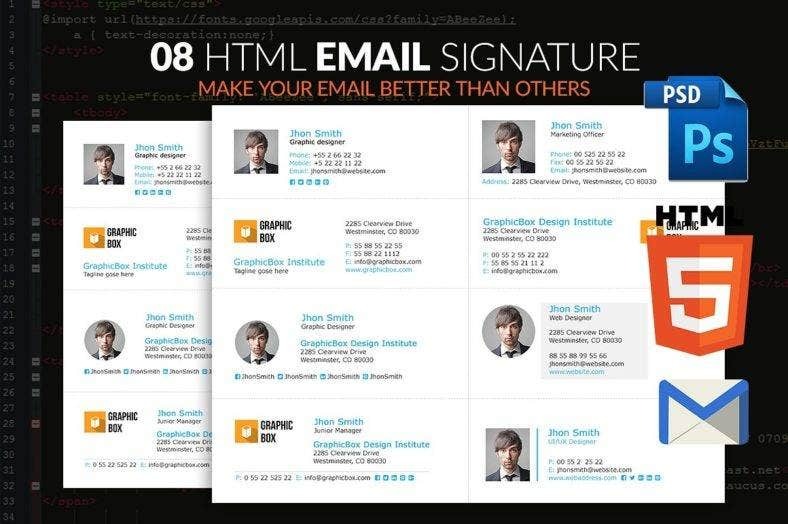 You may also see Gmail signature templates. From a business standpoint, your name is your identifier and your brand. Having this information in your email signature simply helps set you apart from the other real estate agents out there also seeking for clients. Your name is a very basic piece of information which helps people to identify and remember you. You may also see personal e-mail signatures. For this case, your email signature should state that you are a real estate agent. This specific piece of information will help a more specific set of clientele to gravitate towards you. It is also a lot easier for that when they have an idea of the kind of work that you do since they will right away know that you are the person and the kind of service you offer they are looking for. You may also see formal e-mail signatures. Having your profession in your email signature benefits in cases when a person or individual is in need of a specific service and knows you offer such, they will just instantly think of you and will no question reach out to you. Having such information will also help elicit a more professional and legitimate look. 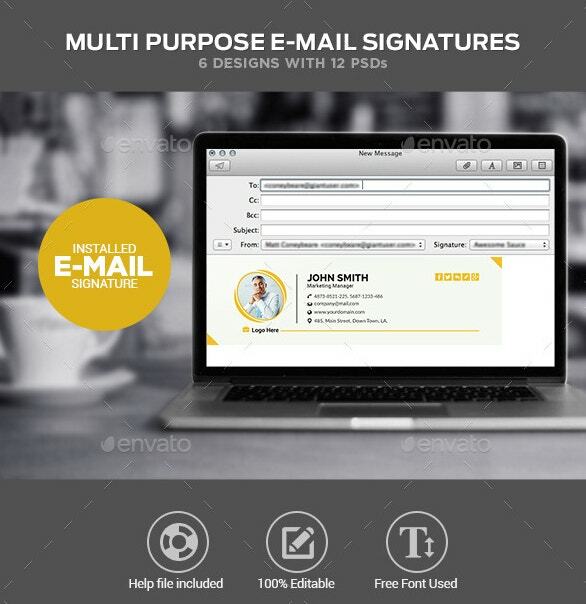 You may also see sales email signature designs. This depends if you are a freelance or not, but if you work for a company or for someone, it is best if you include the information of where you work together with its or their professional logo. Having both these pieces of information not only help in connoting professionalism, but it can also work as a promotional medium for the company or person you work for. 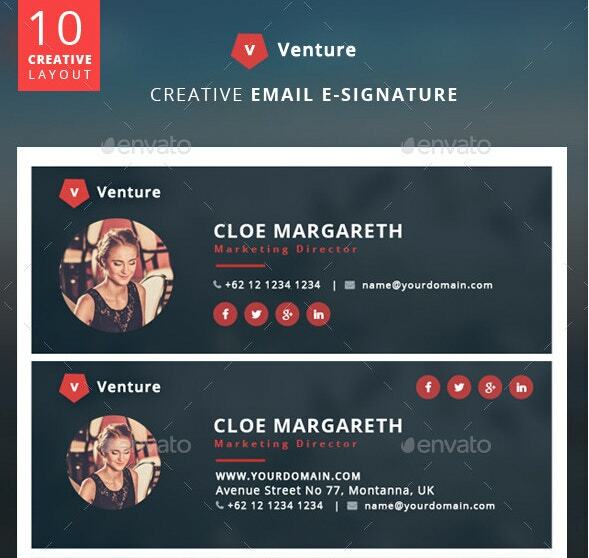 As having this will make the people who will see your email signature aware of the company or person you work for. It is actually a win for both of you, as you grow to gain more clientele the company or person you work for also gains with you. 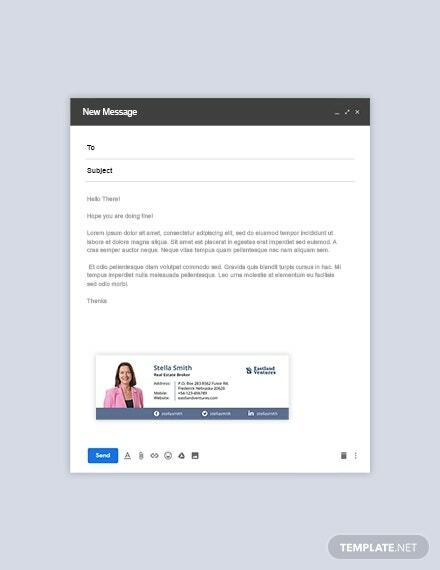 Considering that an email itself is used for contact information, an email signature can provide a set of different contact information for your clients. With it contains the different others that you use for communicating with which they can use to reach out to you, as such are the cell phone number, telephone number, fax number, or even the URL of yours and the company or person you work for’s website. Doing so gives them the assurance that you are someone who is willing to do business with them and by also providing them different contact information allows them to contact you whatever is most convenient for them. Although this information is optional, having a photo of you is highly advisable. Simply because it can give a clearer idea for people who want to reach out to you of what you look like. It is better if you are dressed in a formal attire in your portrait to exude a more professional and reliable atmosphere to your potential clients. You may also see educational email signatures. If you found this article helpful in any way, do not forget to bookmark this page for future references. And, kindly share this with other real estate agents seeking the perfect email signatures to use in their endeavors. You may also see official e-mail templates.